MY BOOK IS GETTING PUBLISHED!!!!!!!!!!!!!!!!!!!!!!!! But for now, pumpkin carving! I got the idea from something I found on Pinterest. 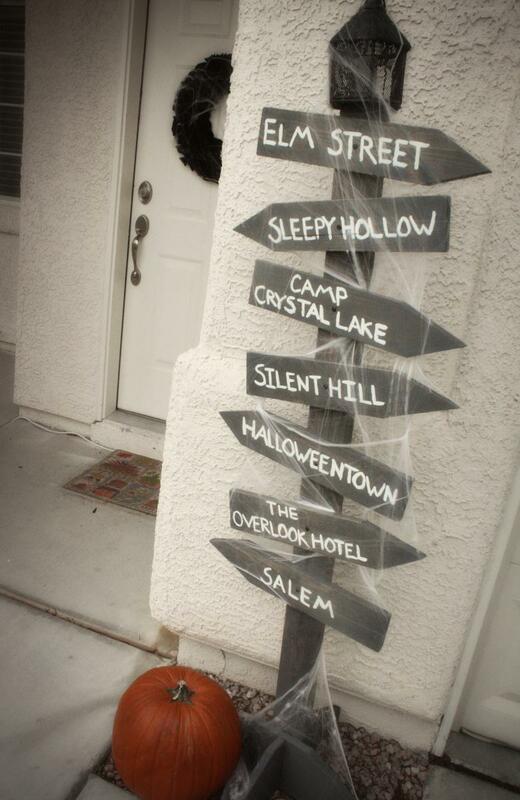 But, of course, I wanted to modify it to include all my favorite scary movie places. Like Silent Hill, the most creepy cool place ever. There are all these things writers do. Things besides writing. Like sometimes an author takes what they’ve written, and they read it out loud to a group of people. This is an author reading and it’s something I never thought would happen to me. Actually, that’s not right. More accurate to say it’s something I have both hoped for (because it means success!) and dreaded (because oh my God how could I possibly read something I wrote in front of people?). I dealt with these conflicting feelings by refusing to think about readings at all. Then I wrote a short story called There Used to Be Cowboys. And it got accepted to an awesome local magazine called Helen. Fast forward a few months, and the editor of Helen is asking me to read a segment of that story at the Vegas Valley Book Festival. If you know me at all, you probably wouldn’t be shocked to find out Halloween is my favorite holiday. October is like everything I love most crammed into one month. There are creepy things everywhere and no one finds it bizarre or morbid. There are a million horror movies to watch. There’s pumpkin spice everything. (Yep, I’m one of those people. In my house at this moment I have pumpkin spice flavored Oreos, M&Ms, Pop-Tarts, oatmeal, tea, liqueur, baking chips, and probably some other things I’m forgetting). Last night I went to dinner with my best friend. And we started talking about that time we went to Death Valley on a quest to find the legendary Barker Ranch. For those unfamiliar with it, Barker Ranch was the last hideout of Charles Manson before his arrest. It’s in a remote area of Death Valley, only accessible by 4-wheel drive.